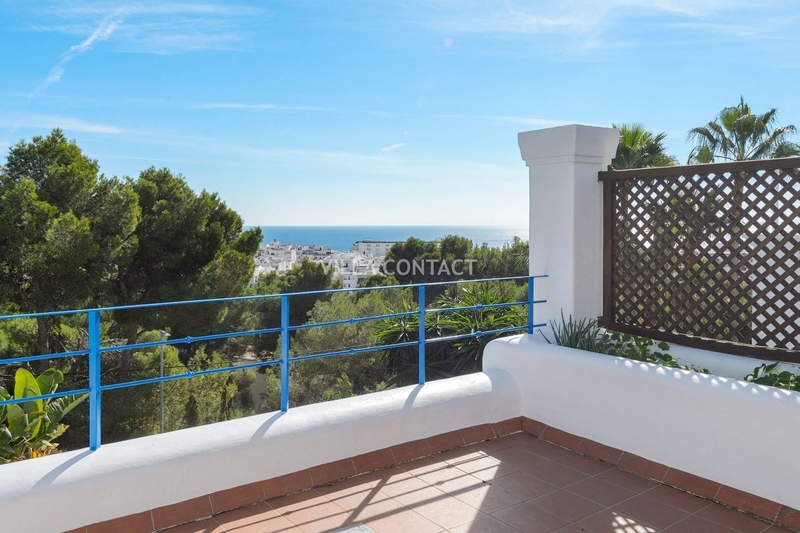 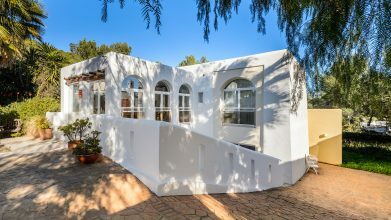 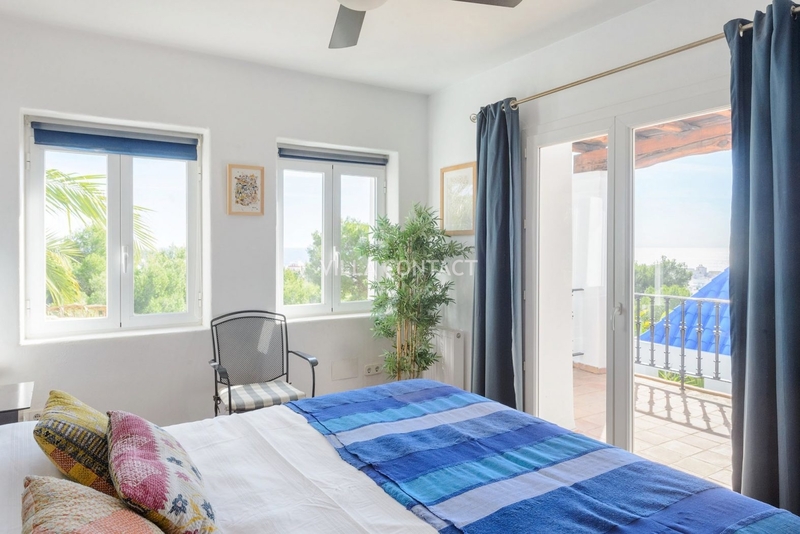 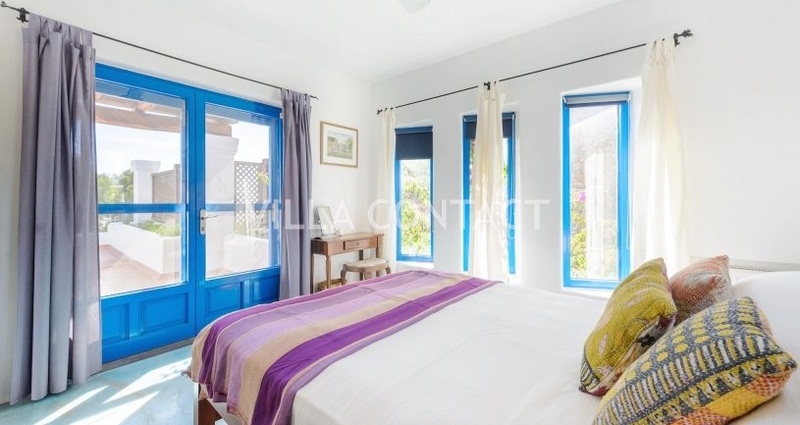 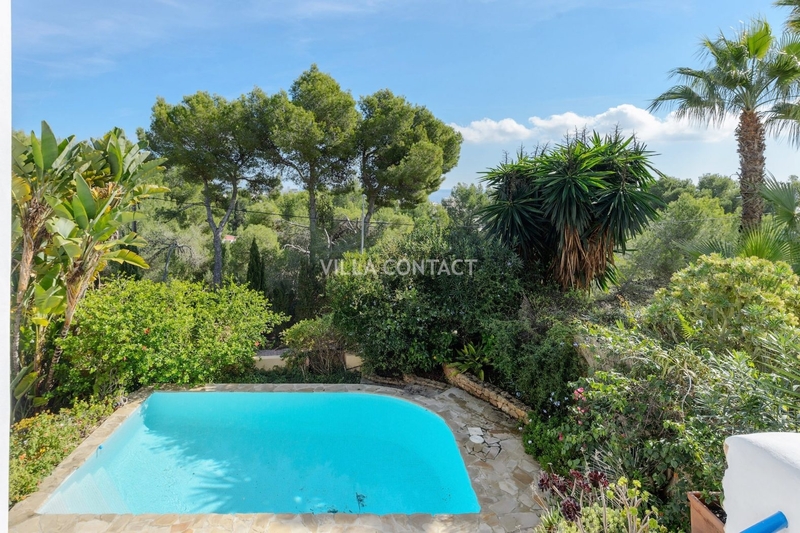 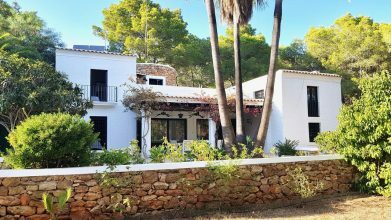 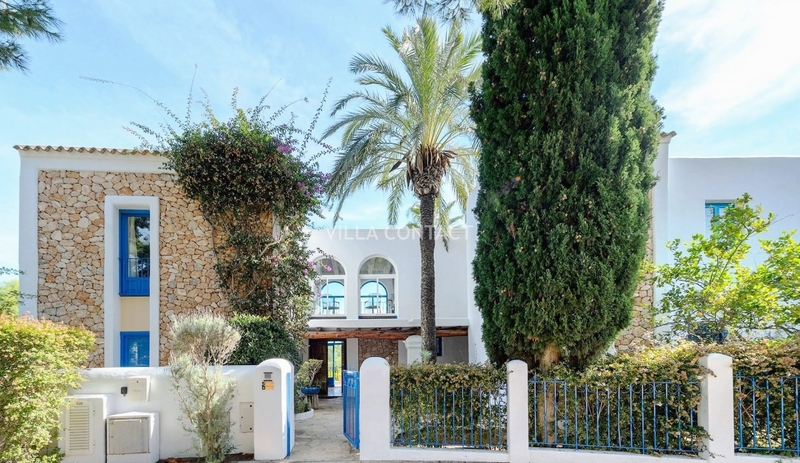 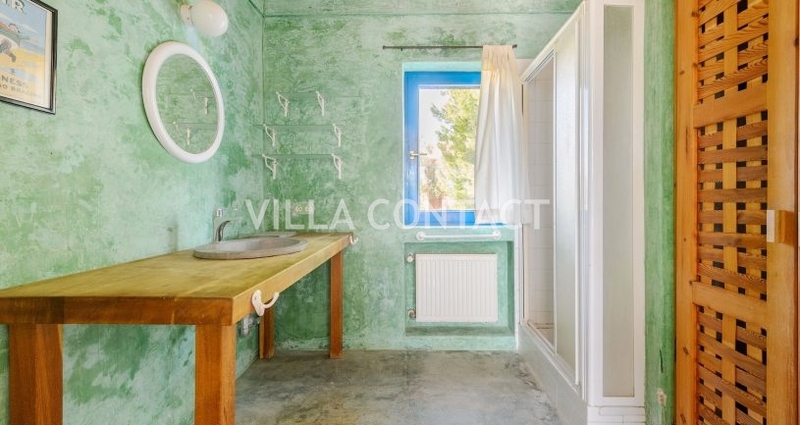 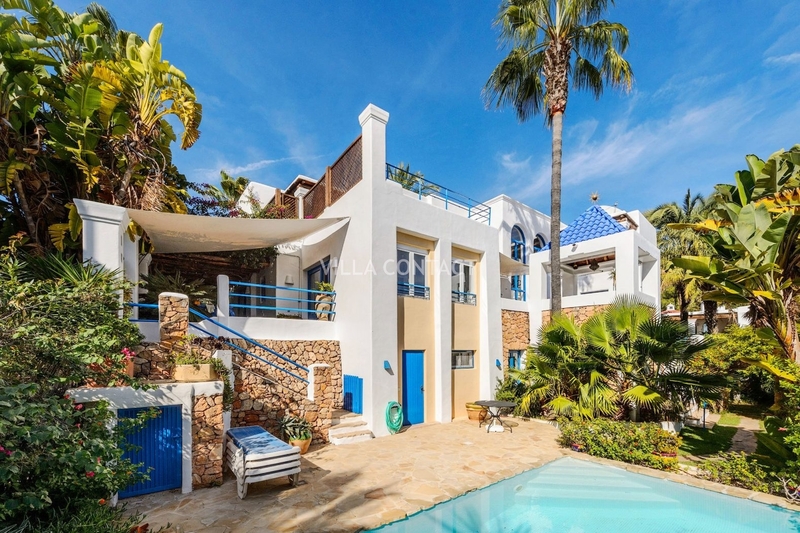 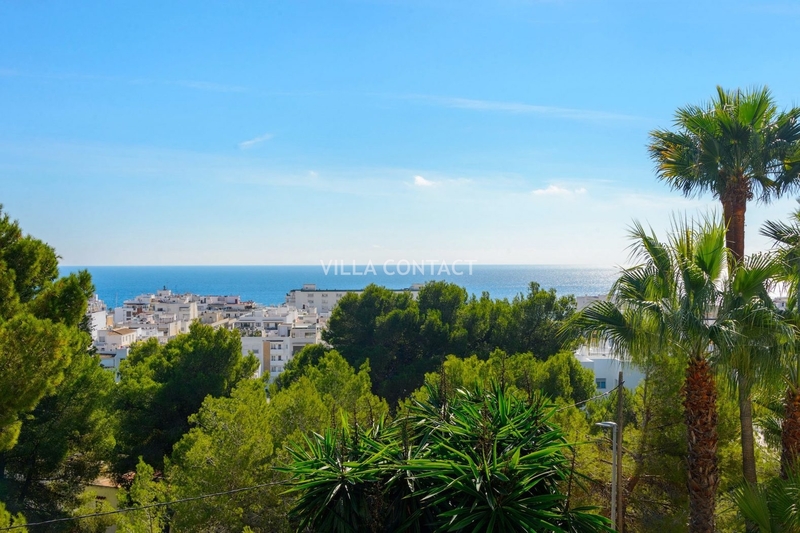 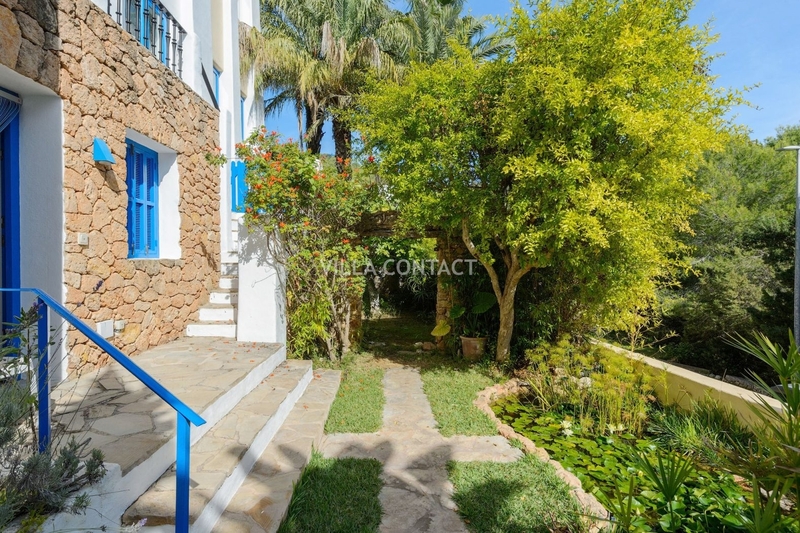 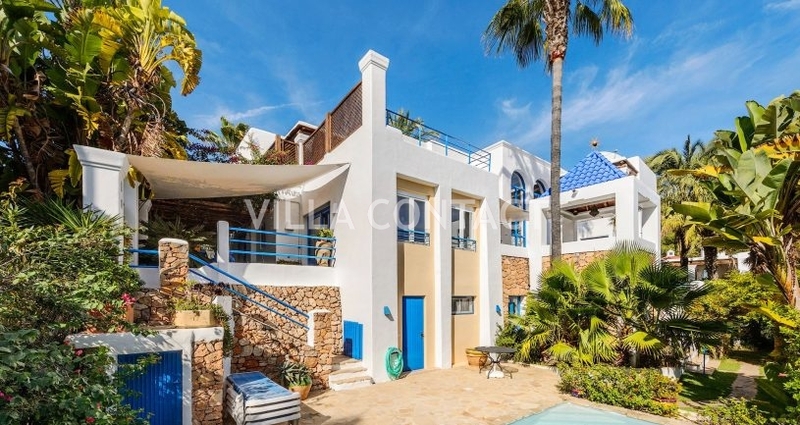 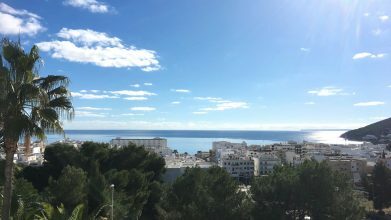 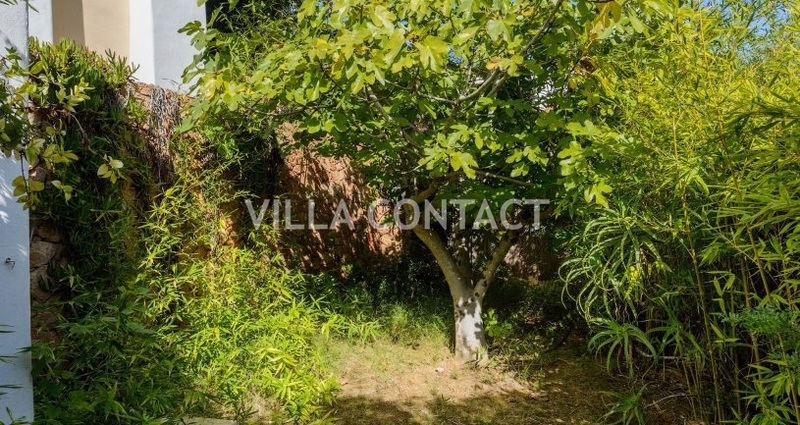 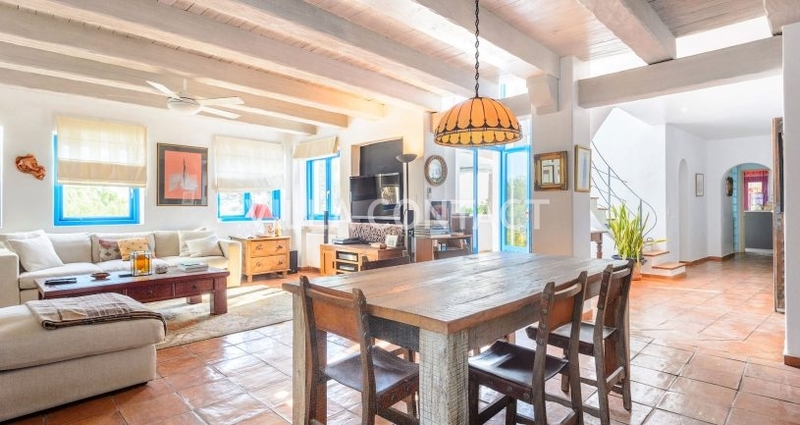 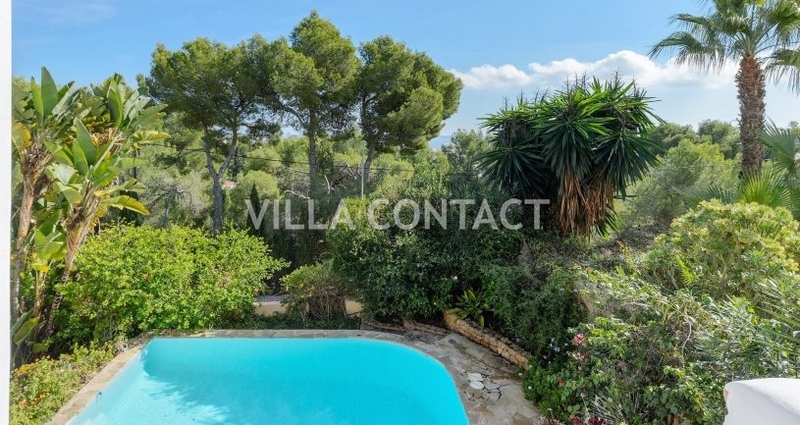 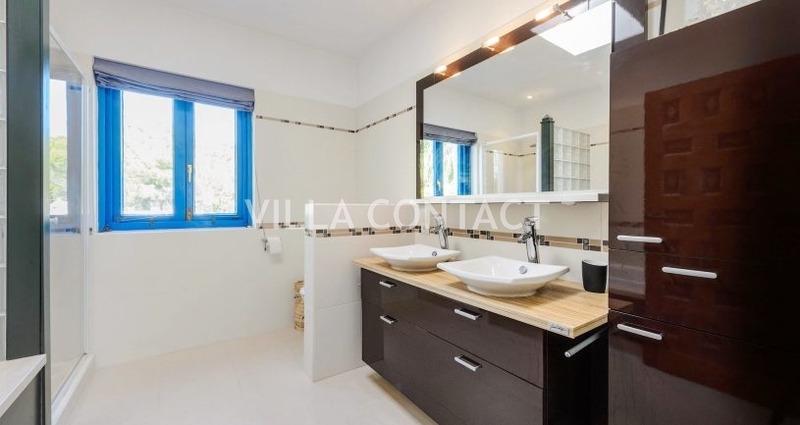 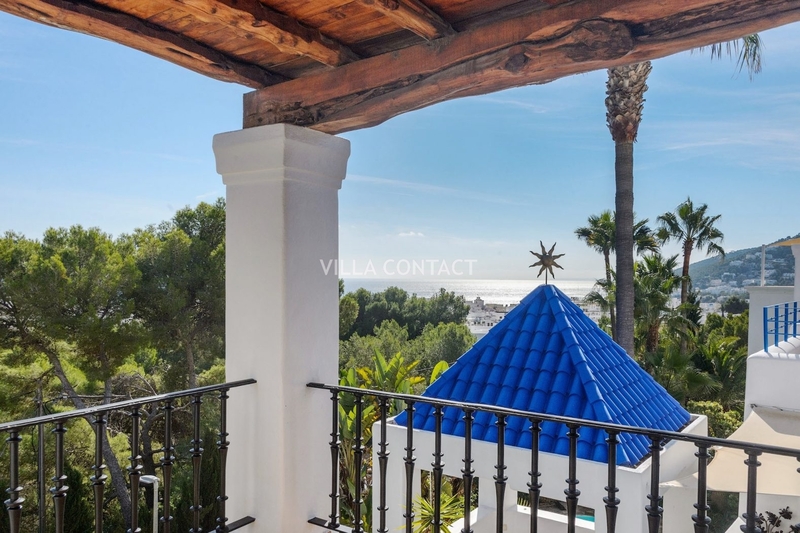 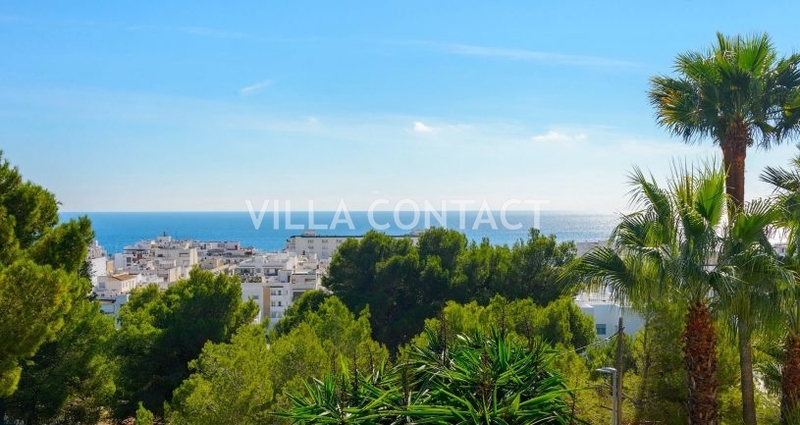 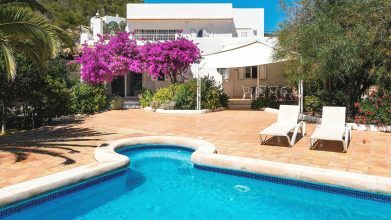 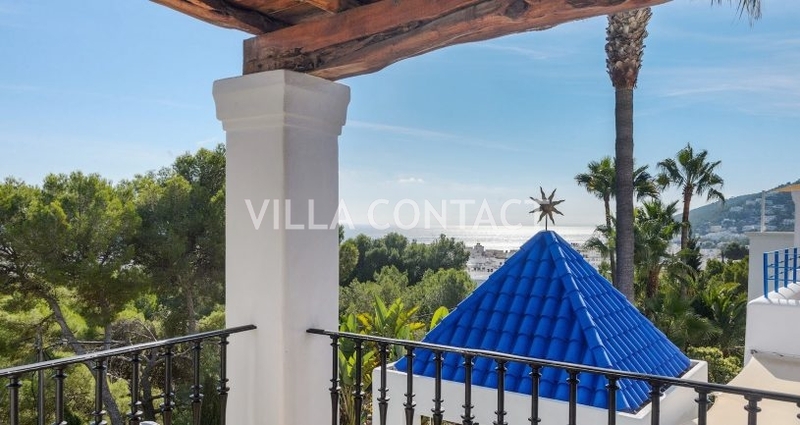 Fantastic large two-story town house in the centre of Santa Eulalia with distant sea views and a pool. 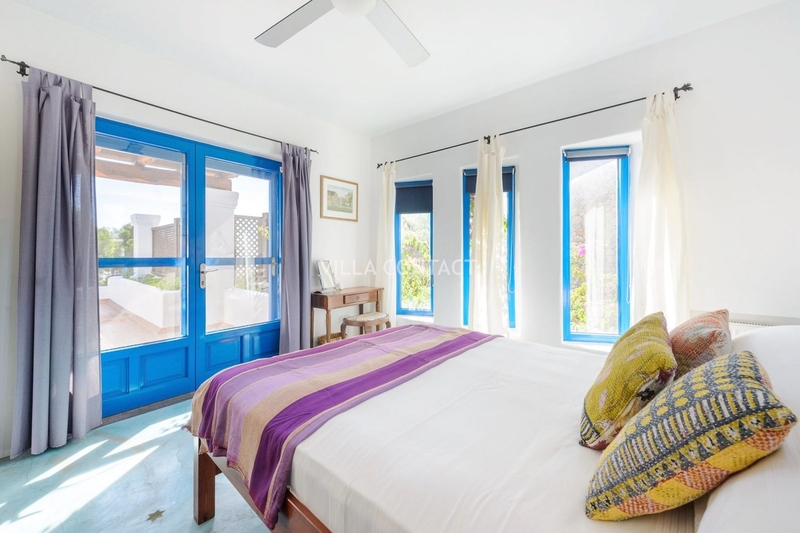 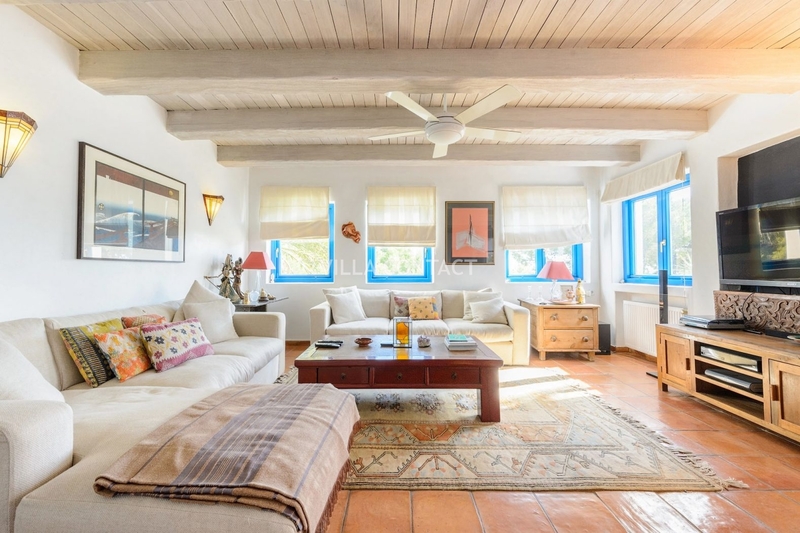 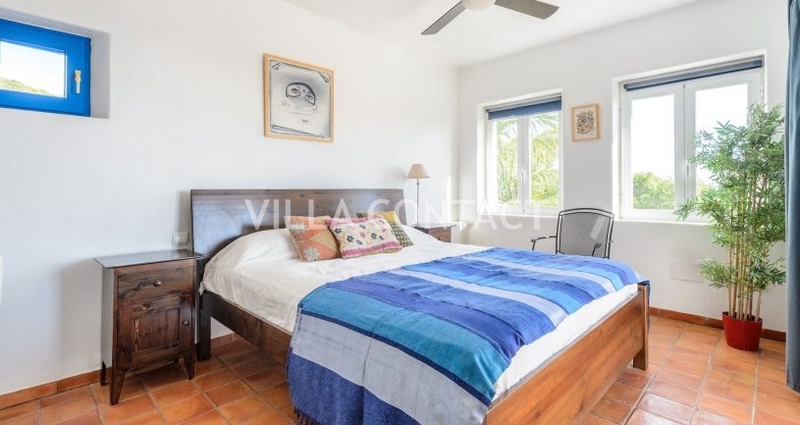 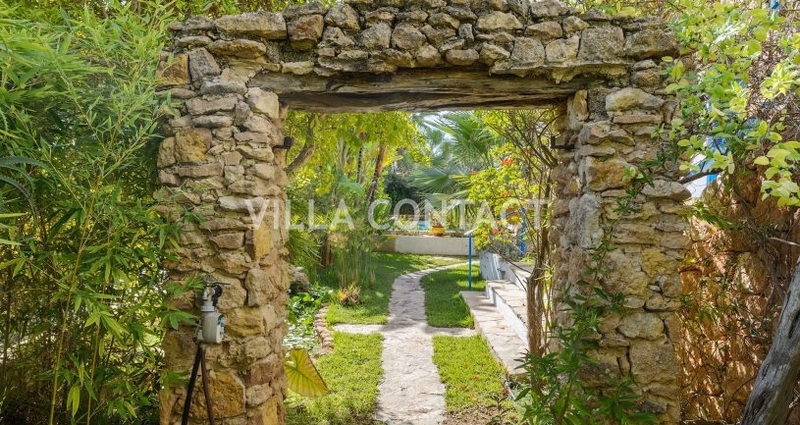 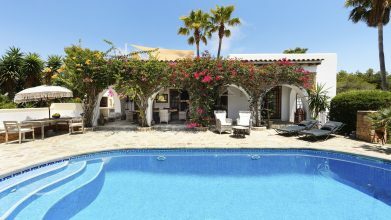 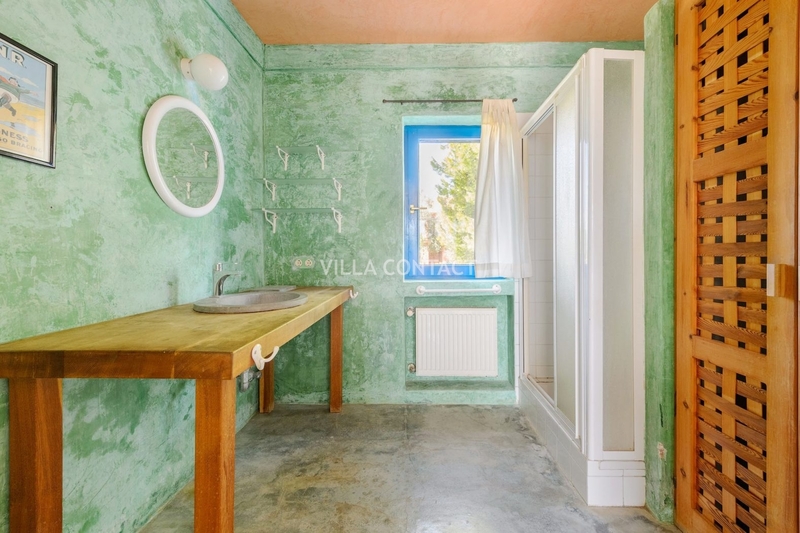 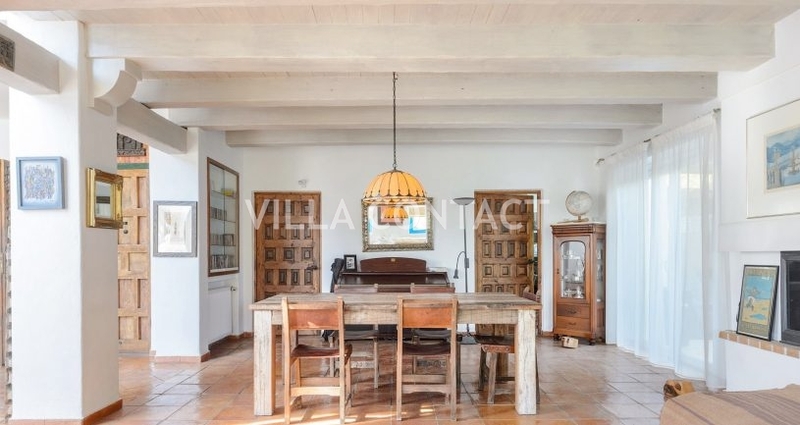 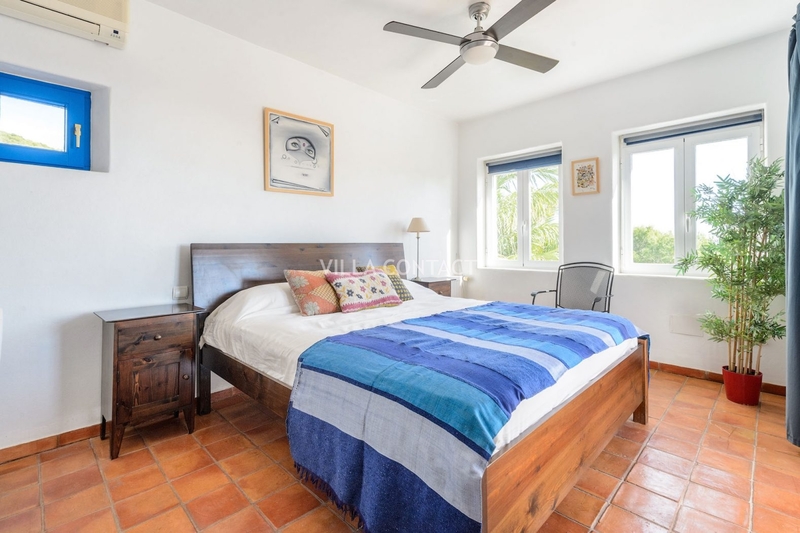 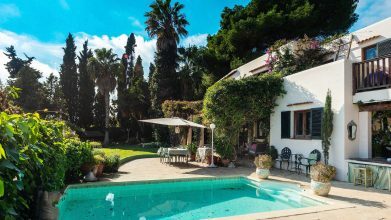 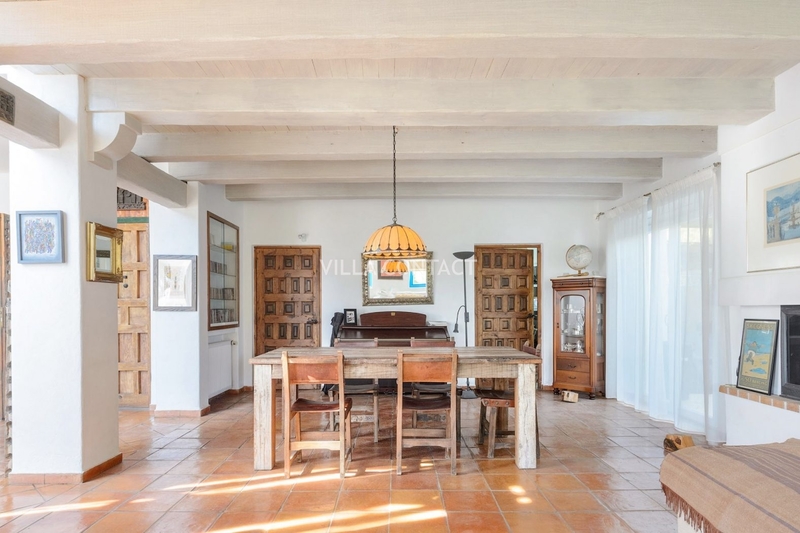 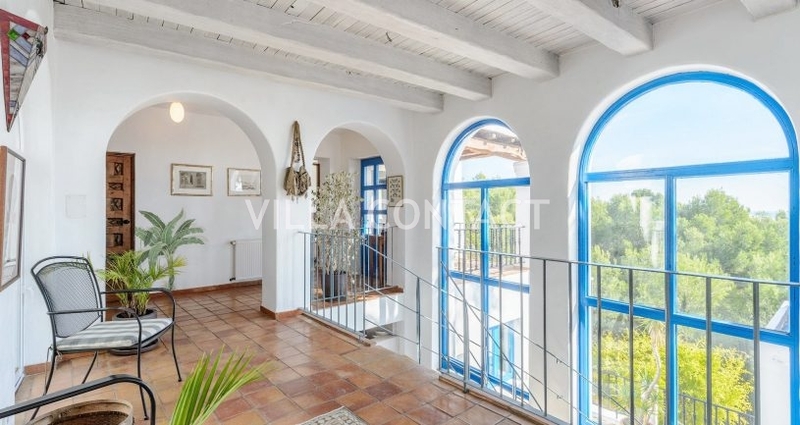 This finca-style villa is located at the top of the town at the end of a residential cul de sac. 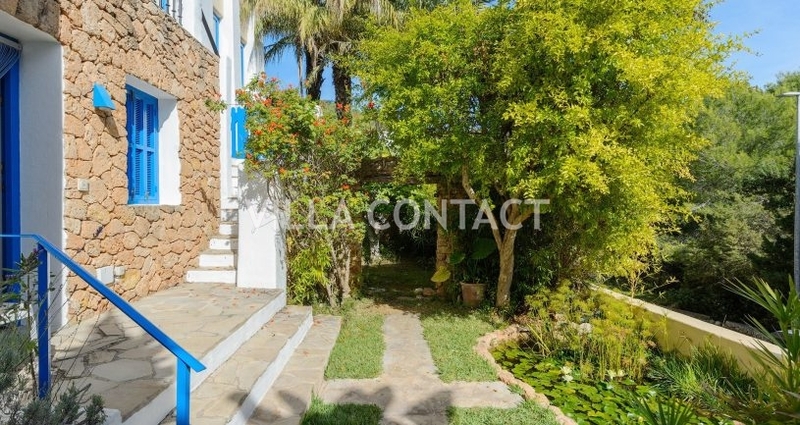 The house is set on an urban plot of 690m2 and the build house measures 298m2 and had has 5 bedrooms and 4 bathrooms in total. 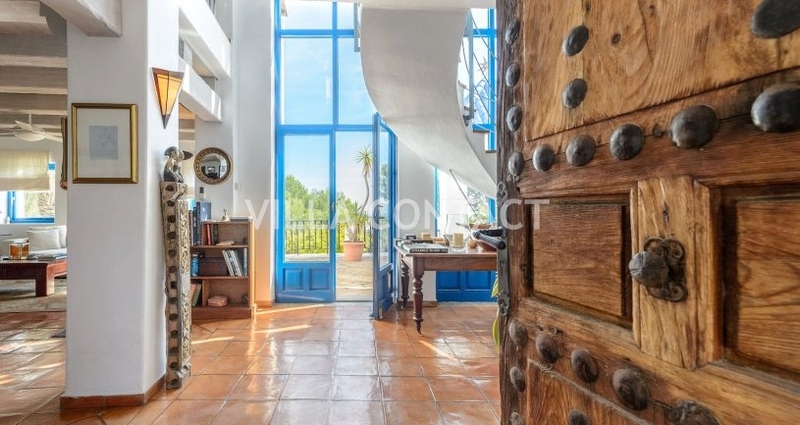 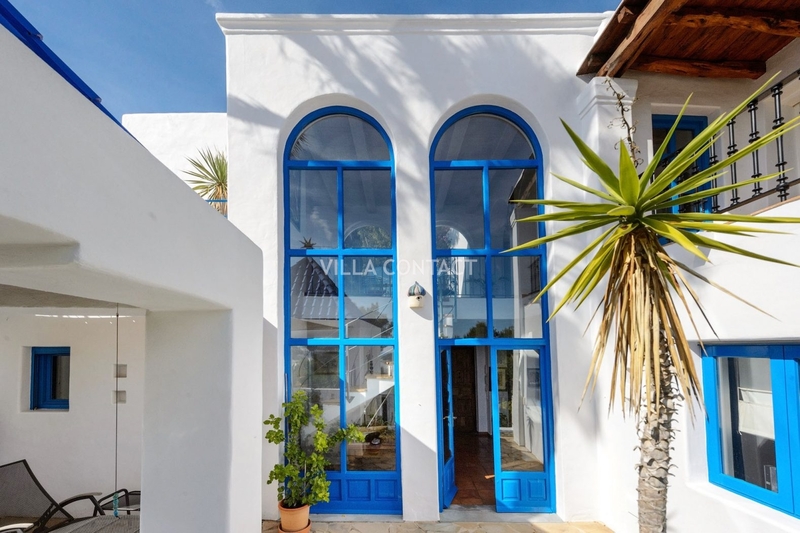 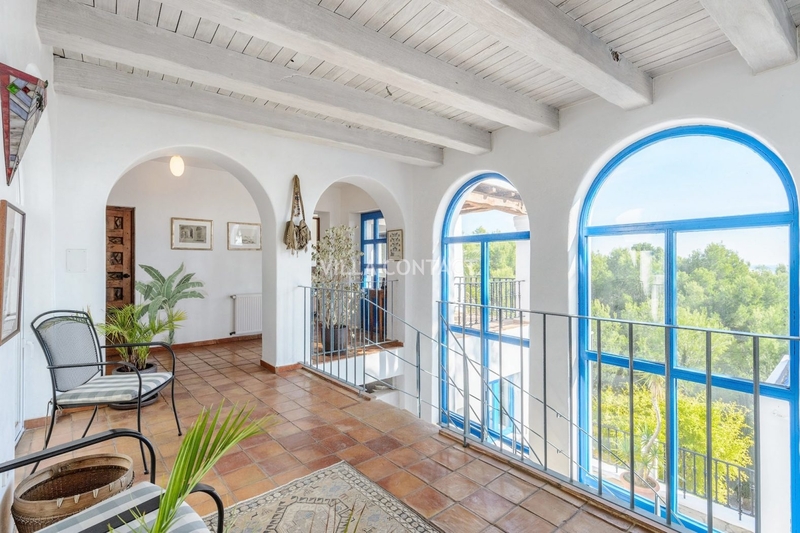 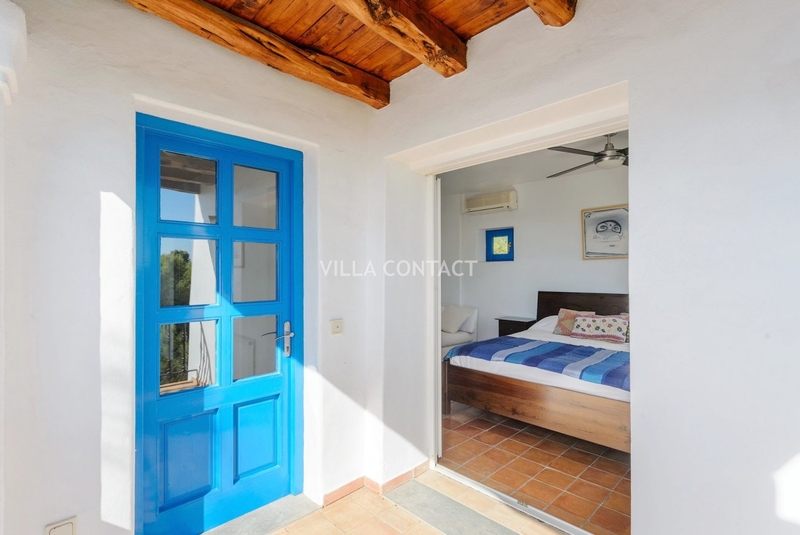 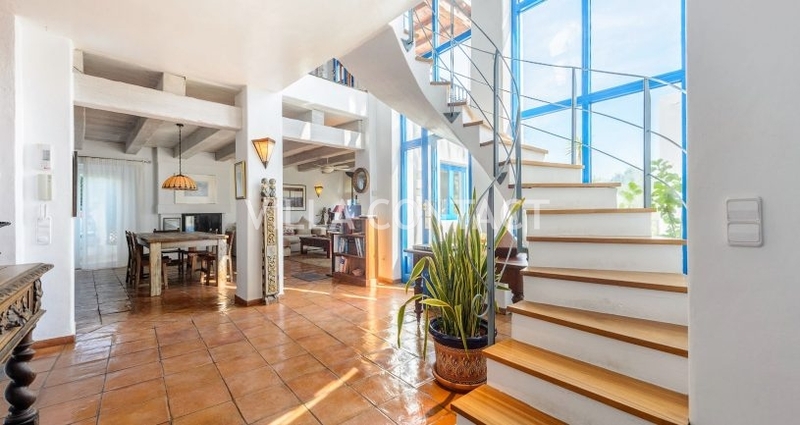 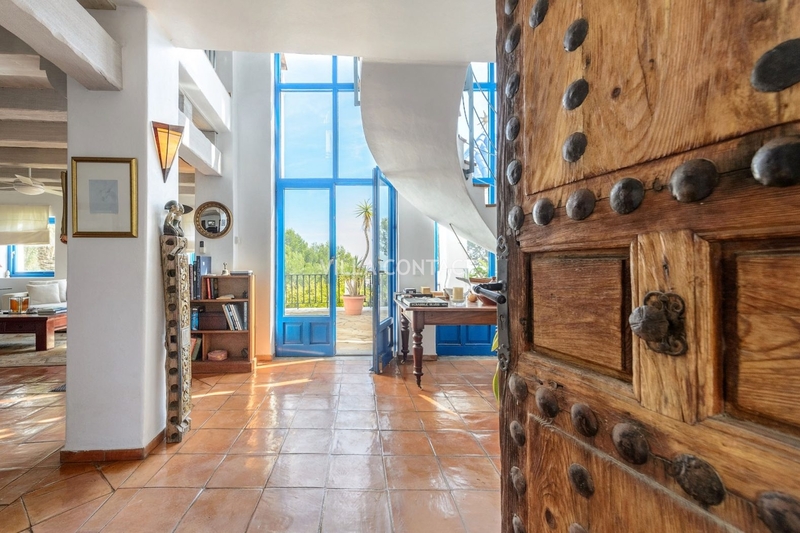 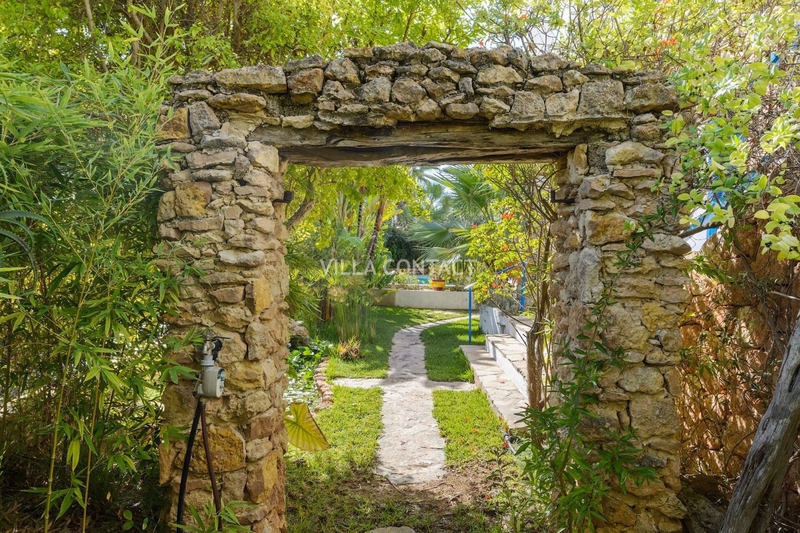 As you enter the property there is a large light and bright hallway with views on the sea. 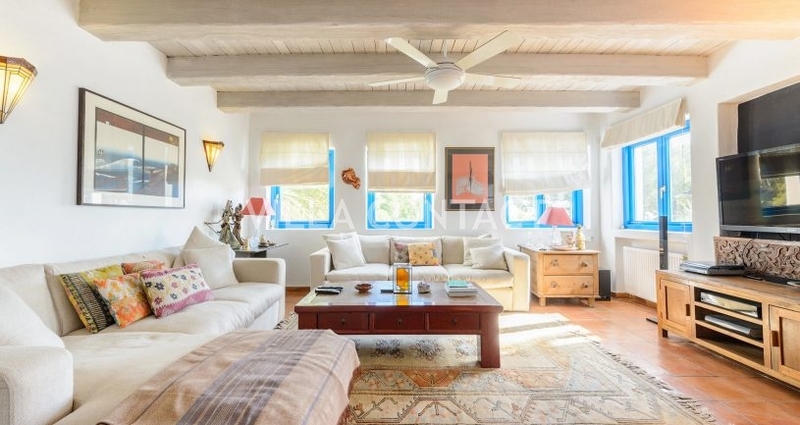 There is a large family sitting room with fireplace and a large dining area which connects to a sunny terrace and the laundry room to the back of the house and access to the covered car port. 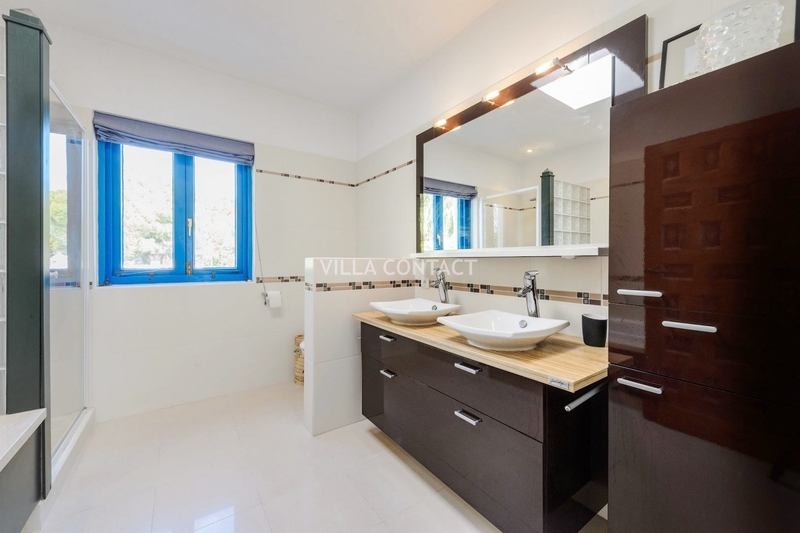 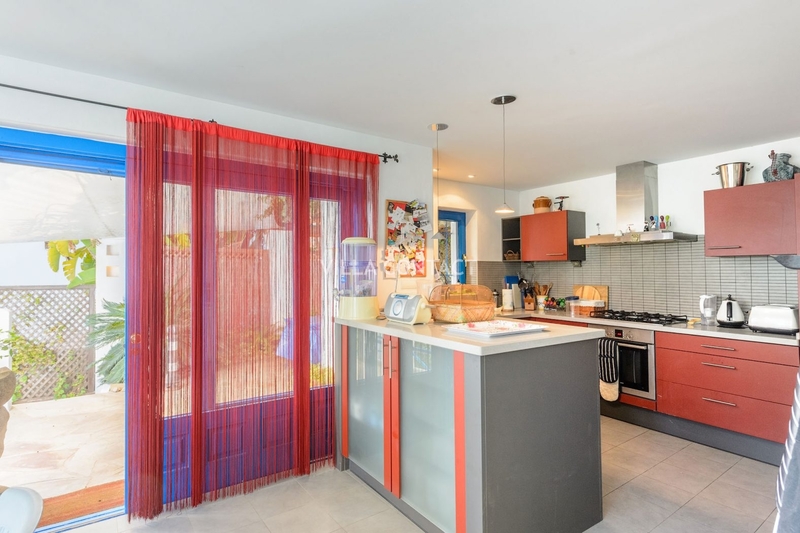 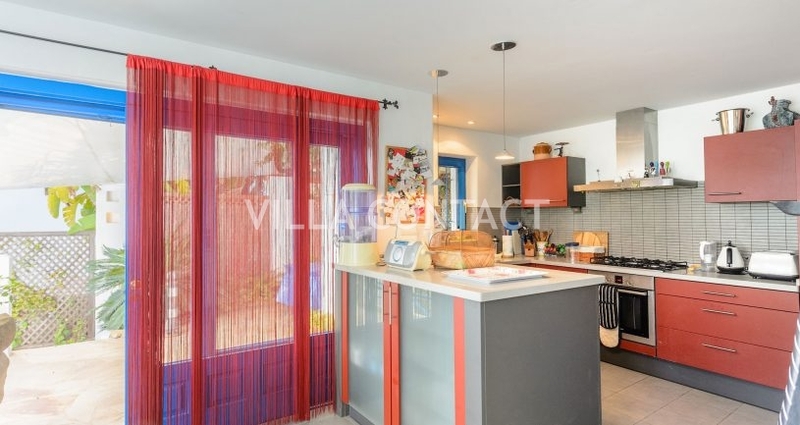 On the other side of the landing, there is a modern style kitchen with a large bedroom, bathroom and guest toilet. 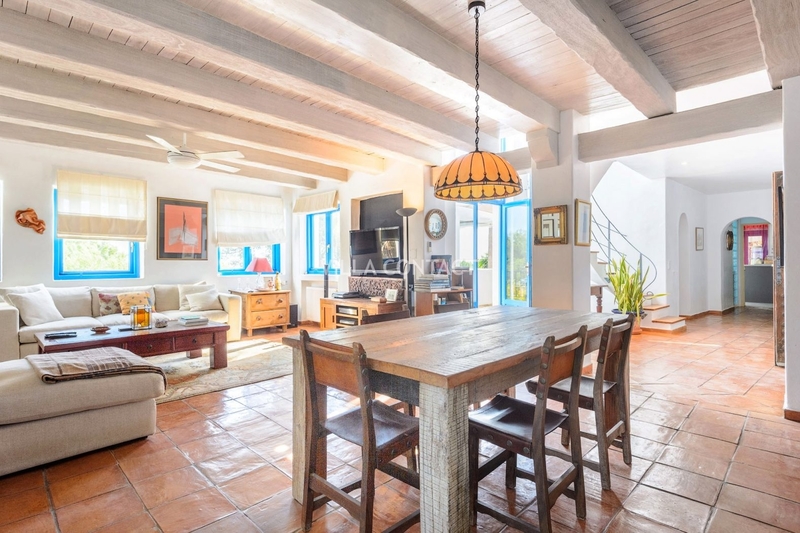 The kitchen also connects to a large covered porch with outside dinning and the pool below, surrounded by lush landscaped gardens and guest studio with en suite bathroom. 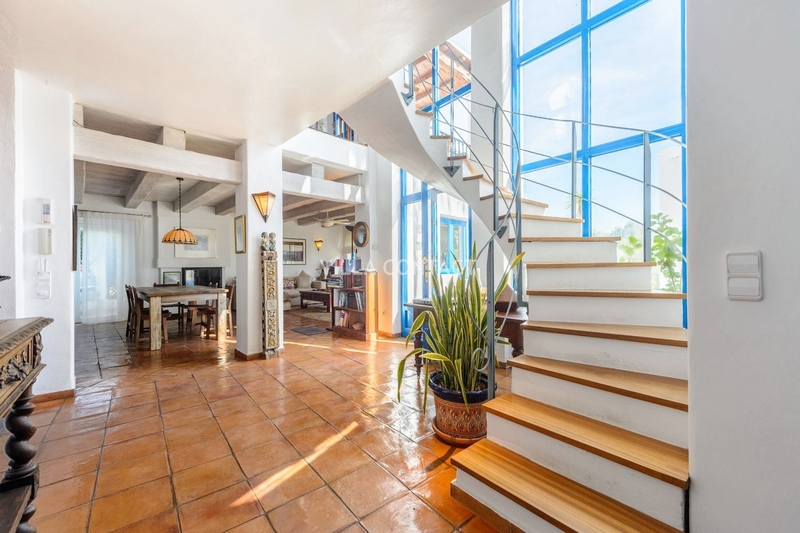 In the top floor there are 3 additional bedrooms with two bathrooms. 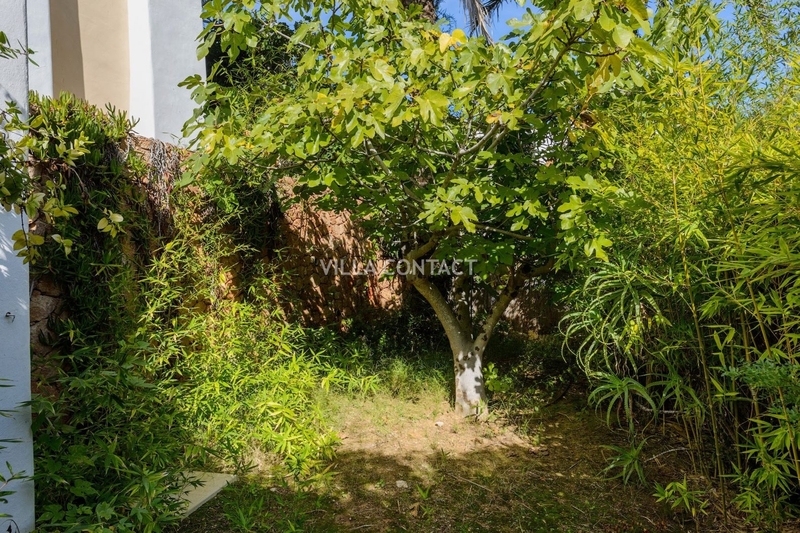 The house is fenced and as a covered porch for 2 cars. 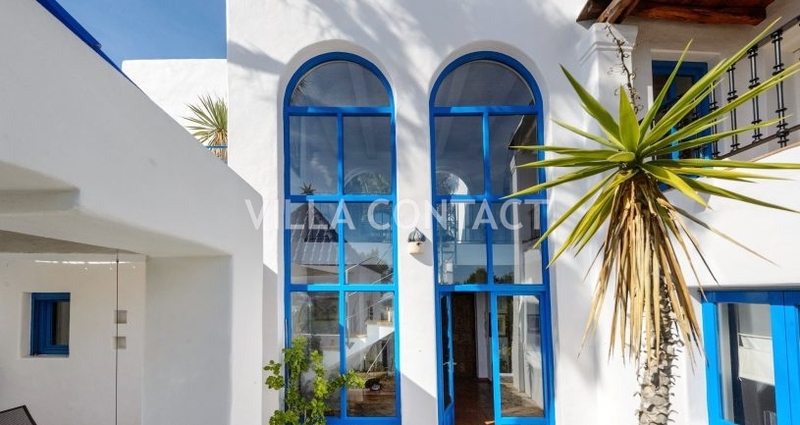 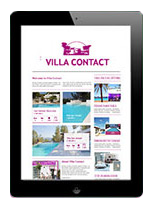 This property is ready to move into and is suitable for all year around living.